Following Quentin Tarantino is no easy task, but director David Ayer did just that Saturday afternoon in Hall H at Comic-Con for his latest cop drama End of Watch. The film stars Jake Gyllenhaal and Michael Pena as two beat cops who stumble upon some surprising information that makes them targets of a drug cartel. 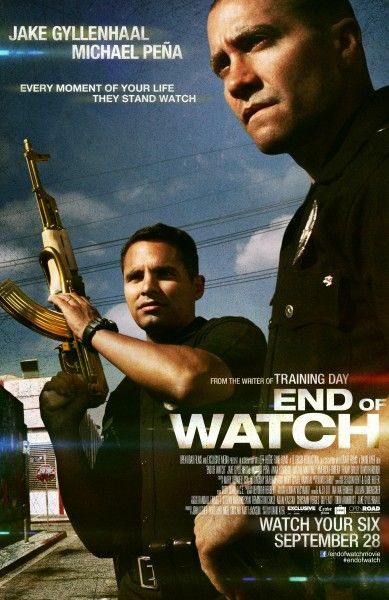 Though Ayer’s previous films (he wrote Training Day and wrote and directed 2006’s Harsh Times) focus on corrupted officers of the law, End of Watch is a change of pace in that Gyllenhaal and Pena play honest, hard-working cops just trying to do their job well. The panel kicked off by first showing the trailer for the film. If you haven’t seen it, what’s most striking is that it’s shot in a documentary style with a lot of handheld. They even created camera rigs specifically to be hooked up to the actors to give the audience a “point-of-view” shot. Weintraub then introduced Pena and Ayer, the latter of whom told the audience that the last time he was in San Diego, he was stationed here. A clip rolled that showed Gyllenhaal apologizing for not being able to make the trip to Comic-Con, then he introduced three really promising clips. 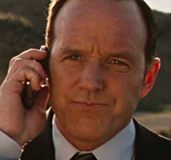 The first clip was all footage captured on a camera embedded into the cop car, complete with a time stamp that made it look like official footage. Gyllenhaal had a touching voice over while the car drove about a cop’s duty to protect and to serve, and towards the end of the clip we see the cop car chasing after another car. They get the other car off the road and two men with guns pop out and start shooting at the car (thus at Gyllenhaal and Pena). It was intense watching this happen through the car cam, as it gives the audience a sense of actually being there with the officers. There’s no stylization; you get the idea that this is what it’s really like. The next clip was a really, really funny scene between Pena and Gyllenhaal that Ayer later revealed was completely improvised. They’re busting each other’s balls about their significant others, and the two actors clearly have great chemistry. The final clip followed Pena and Gyllenhaal running into a burning house to rescue a family trapped inside. The camera work inside the house was entirely handheld, and actually made it kind of difficult to tell what was going on. It felt very claustrophobic, but I guess that’s the point. I’d assume the feeling of watching this sequence is comparable to actually running into a burning house. Ayer said that a lot of the stories in End of Watch actually took place in south central Los Angeles. Ayer was inspired by his friend who was a cop, who told him that if he or his partner were injured fatally on duty, the other partner would “pop” him to finish the job and take care of his family. That level of commitment and the bond between the partners inspired him. Pena said he was confused when reading the script because everything said “POV” and he thought Ayer was crazy for thinking he could actually capture all this footage. Ayer said that people see movies differently these days because they play games like Call of Duty: Modern Warfare, so his technique was “informed by POV,” so the actors are actually filming with cameras that are strapped to their bodies. Ayer also said that if scenes called for traditional photography, he wasn’t afraid to use that as well. He didn’t want to restrict himself by his own rules. 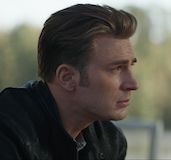 When talking about making the film independently, he said that he enjoys doing studio movies like everyone else, “but every now and then you’ve gotta feed the soul.” He was granted final cut by making the movie independently. Ayer wanted to go back to bread and butter filmmaking by having characters that are genuinely good guys. Pena was fat when Ayer hired him, so he had to work out for months to get into shape. “I was like Chris Farley running up a steep hill,” he quipped. The actors went through a lot of training with police officers and SWAT teams, and they also learned martial arts. Ayer said the training bonded Pena and Gyllenhaal. Ayer said that if this were a studio movie, it would be “Apocalypto in the Hood.” Doing it independently, he was able to delve into the characters’ family lives. In a funny aside, Pena singled out the front row in Hall H for watching him on the big screen behind the panelists when he’s actually right in front of them. The actors did some pretty rough ride-alongs with cops, and Pena said they started to see how crazy the life that cops lead really is. During the first ride-along, Pena was surprised to see that the cops they were with were actually really funny. He realized that was how they blew off steam in between these intense situations. Principal photography for End of Watch lasted 22-23 days. Pena said that they had to spar three times a week during training, and at first he was really, really nervous, then he chilled out for a while, then towards the end he felt like he was doing it for sport. Going into the End of Watch panel I figured I knew what to expect (ie. a cop drama similar to Ayer’s other work), but I was wrong. 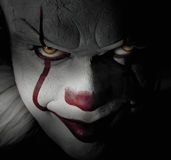 The intriguing camera techniques that put the audience into the headspace of the characters combined with the honest and heroic portrayal of police officers makes this a different beast altogether. Moreover, the chemistry between Pena and Gyllenhaal promises to bring some levity to the pic. End of Watch is definitely one to look out for.